Glenafton travel to the North Ayrshire coast to face league leaders Ardrossan Winton Rovers in the first West Region league clash between the two sides. Lewis Sloan, who has returned from holiday, Gareth Armstrong having completed his three match suspension and striker Ian Cashmore will all be in contention to partner leading goalscorer Gareth Armstrong up front . On the down side captain Robbie Henderson will be unavailable for selection as he heads for a wedding in London. Derek Frye’s Winton Rovers , the newly promoted Ayrshire District Champions, are the talk of the terracing following their stunning start to the season beginning with an impressive Ardagh Glass Sectional league cup campaign. In arguably the toughest section of the competition, with three Premier sides in the group of five, Winton finished runners-up and narrowly lost out to Premier champions Irvine Meadow in a quarter-final penalty shoot-out, after a fantastic four-all draw. Gutted Graeme Hamilton, now in his fourth season with Rovers having joined them from the renowned Clark Drive Amateurs, had the consolation of scoring hat-trick at Meadow Park. Of course it is the Rovers league form that has caught the eye, four wins out of four, the most recent an eye-watering 8-0 gubbing of Girvan at Hamilton Park, albeit their fellow seasiders finished the match with 8 men. Striker Stephen Reid, summer-signing from Renfrew, bagged a hat-trick to take his season-so-far tally to 8 goals. Please visit the excellent Winton web-site here. Other fixtures: Dalry v Shotts, Kilsyth v Renfrew, Lanark v Girvan, Rutherglen v East Kilbride, Thorniewood v Cumbernauld, Whitletts v Hurlford. The First: The two clubs first met in the historic season of 1933/34 when North Ayrshire clubs finally succumbed to their southern cousins – Glenafton, Kello Rovers and Auchinleck Talbot – and allowed them entry into prestigious Western League. Rovers came out on top by the odd goal in three at Winton Park and when the two sides met late in the season in the corresponding fixture at Connel Park both they and Kilwinning Rangers were challenging for the league title. The day before the showdown with Winton, the Glens drew 1-1 with the Buffs in the semi-final of the Ayrshire Consolation Cup at Somerset Park and this appears have taken toll for after going two up, goals from Barney Jackson and Willie Ferguson, the Rovers hit back with three of their own to seal the points. The Glens had to settle for 3rd place in the league, five points behind equal top Ardrossan and Kilwinning. 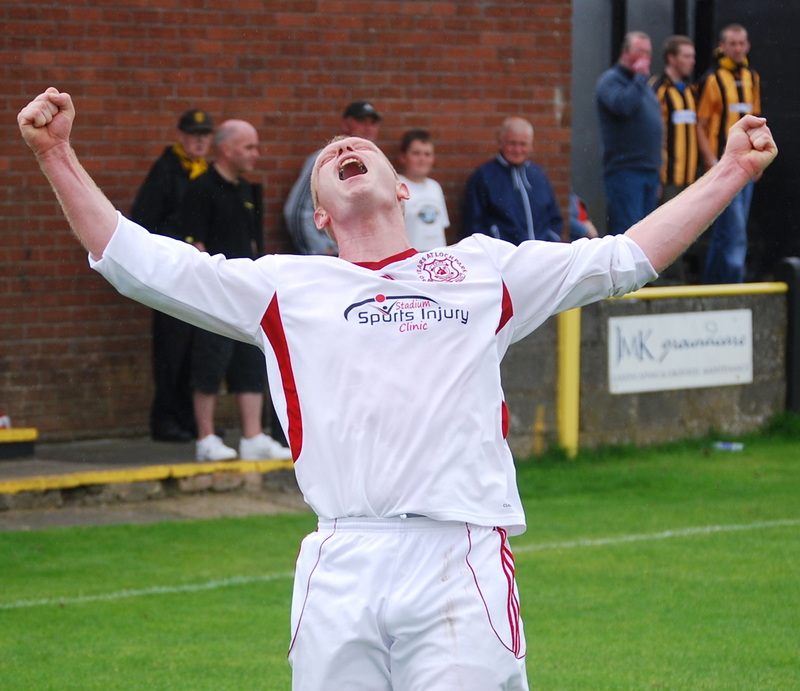 In a play-off decider ‘Winton won the West’ beating the Buffs 2-0 at Recreation Park, Stevenston to round off a great year the club having won the Ayrshire Cup and reaching the semi-final of the Scottish Junior Cup final. The following season the Glens completed the league double over Winton on their way to becoming the first south Ayrshire side to be crowned Western League Champions. The Last: The two clubs last met in the pre-season Joe Meldrum Trophy on 3rd August, 2008 at Loch Park. Glens’ goals from trialist Craig Seenan, Paul McMullan and a double from Dougie Ramsay, either side of a Winton counter put the home side into a seemingly unassailable 4-1 lead at the break. However, the visitors punished some defensive lapses by the Glens and hit back with two second half goals. Indeed only a fine save by Chris Fahey and then the woodwork prevented the North Ayrshire side from bagging a deserved equaliser. The Glens held on to their lead and to the JMT Trophy. This entry was posted in GAFC Fixture and tagged Ardrossan Winton Rovers. Bookmark the permalink.